The European Society of Surgery was the brain child of a number of visionary surgeons, led by Professor Sergio Stipa (University La Sapienza, Rome) who in the early 1990’s felt that there was a need to integrate surgeons from the emerging Eastern European countries, many with an enviable surgical heritage which had been somewhat sublimated due to political and other reasons, into the surgical culture of Western Europe. The goal of the Society as stated in its constitution is "the advancement of the art and science of surgery" with a mission to promote scientific, academic and clinical surgery of a high calibre. The Society in particular wished to encourage and promote interchange of ideas, both clinical and scientific, between East and West. Some thirty countries are represented in the Society with a wide spectrum of representation from Western, Eastern and Central Europe and the Mediterranean. The First General Assembly of the E.S.S. (1997) was convened by Prof. Sergio Stipa (President, Italy) and Prof. Robin Williamson (President elect, U.K.). The members of the First E.S.S. Board who undersigned the official statues of the Society on 3rd December 1999 were: Carlo Faber (Luxembourg), Luc Michel (Belgium), Joachim Muller (Germany), Tadeusz Popiela (Poland), Sergio Stipa (Italy) and Robin Williamson (U.K.). The legal seat of the Society was initially in Luxembourg (1999 - 2007) and was later transferred to Krakow, Poland (December 2007). 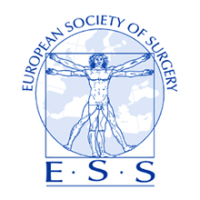 At the General Assembly held in Krakow in 2000 it was decided to officially register the European Society of Surgery in the European Union as a non-profit organisation. While the Society elects its President every year the General Secretary is responsible for the ongoing business of the Society. The first General Secretary was Steen Jenson (Denmark, 1996 - 7). He was followed by the charismatic Luc Michelle (Belgium, 1997 - 2005) who managed the Society’s affairs for almost a decade until he handed over to Andrew Kingsnorth (U.K., 2005 - 6). In 2007 Jan Kulig (Poland) assumed this responsible position.